Founded in 2000 with an interest in creating luxury wines at affordable prices. 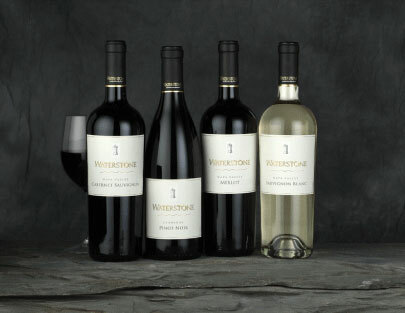 "Waterstone is quickly becoming known for producing top-quality Napa Valley wines that delight the palate." By sourcing grapes from Napa Valley's climatic zones that best suit their development, Waterstone produces balanced wines that are earnest expressions of both the grape and the land from which it comes.